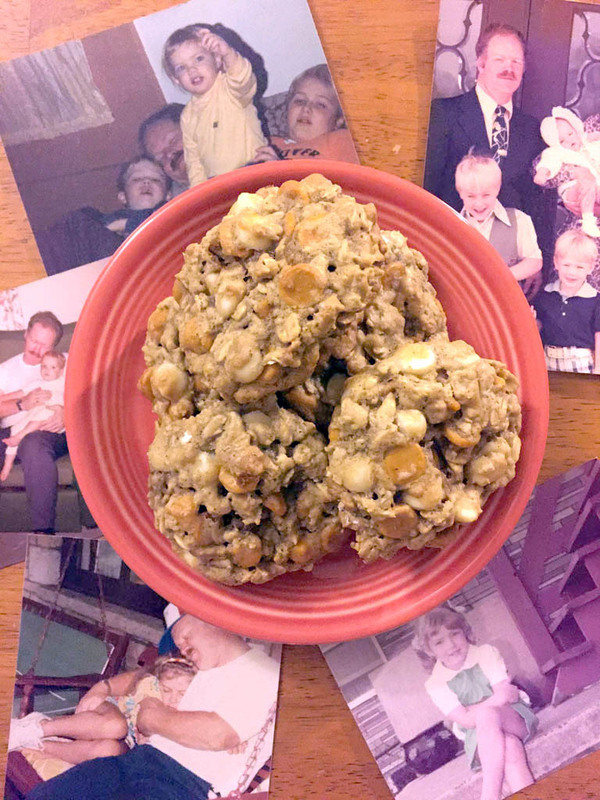 Flashing back to somewhere in the late 80’s and 90’s my mother would make butterscotch cookies for my dad; he totally loved them. The really sweet, buttery taste of the butterscotch morsels, the crunchiness, and the oatmeal did him in. Mom never had a recipe written down. She always used the recipe on the back of the package, whether it was from a brand-name or not. Just about every time she made them, the end result was about the same: very flat, and I mean as-thin-as-paper flat, and they would break apart so easily. Her response was the same too…why are they coming out like this? At the time, who cares? They were good anyway! If Dad approved of them, so be it! Even I made them like that for a while up until I got married; I too followed the recipe on the back of the butterscotch chip bag. 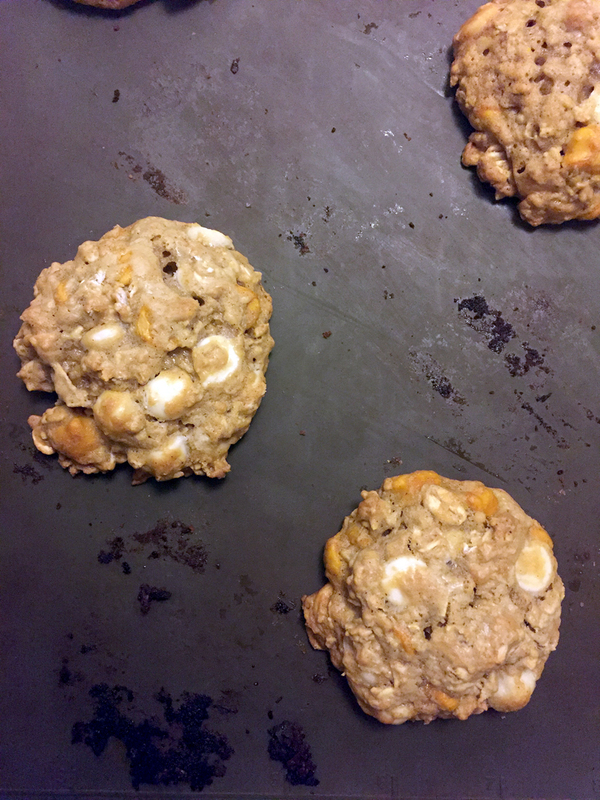 I’m so over flat, break-apart-so-easily butterscotch cookies! These ones are a little thicker, and they’re not that crunchy either. 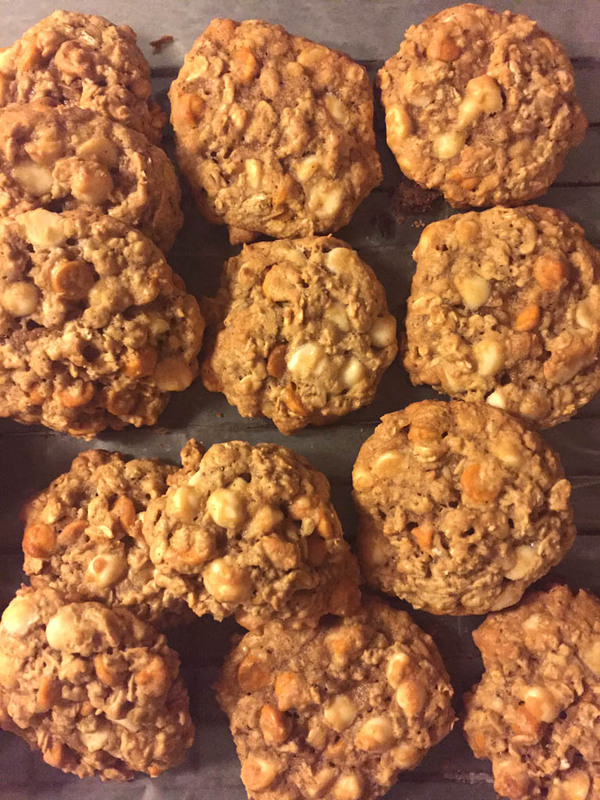 This recipe is slightly adapted from the old Hershey’s recipe book I received as a gift and it saved me from flat butterscotch cookies. More flour pretty much did the trick, and I added cloves along with the cinnamon for a little earthy touch to the taste. But they still can come apart though, that’s if you don’t wait a minute to remove them from your baking sheet once they come out of the oven. 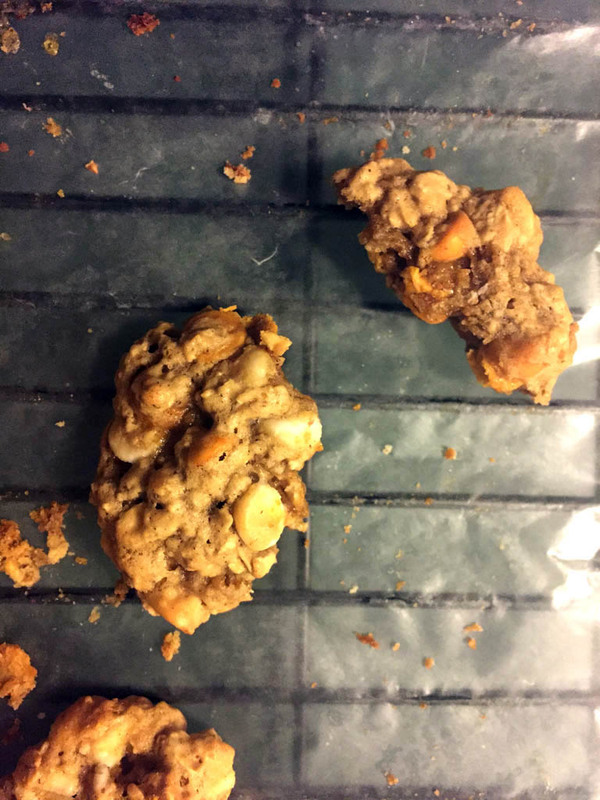 Just like a lot of cookies, it’s wise to let them sit for a minute before removing from the baking sheet; they may fall apart since they’re so hot and not completely set, like this poor cookie! I made these a couple times as gifts for Dad, but this year for Father’s Day I made them in honor of him, now that it’s been over 4 months since his death. Mom is probably making these for him in their heavenly kitchen. – Preheat oven to 375 degrees. Lightly spray cookies sheets with non-stick cooking spray or line with silicone mats. – In mixing bowl, mix together margarine and sugars until light and fluffy. – Add eggs and vanilla extract; mix well. – In a large bowl, mix together flour, baking soda, and spices. Gradually fold flour mixture and oats into the wet ingredients. Fold in morsels. 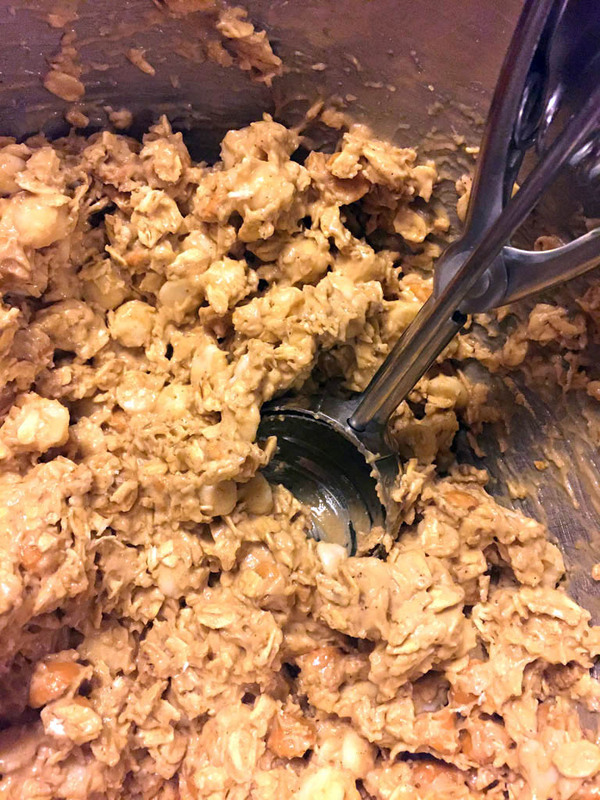 – Using a medium-sized cookie scoop, drop cookie dough onto cookie sheets and bake for 12 minutes until lightly golden. 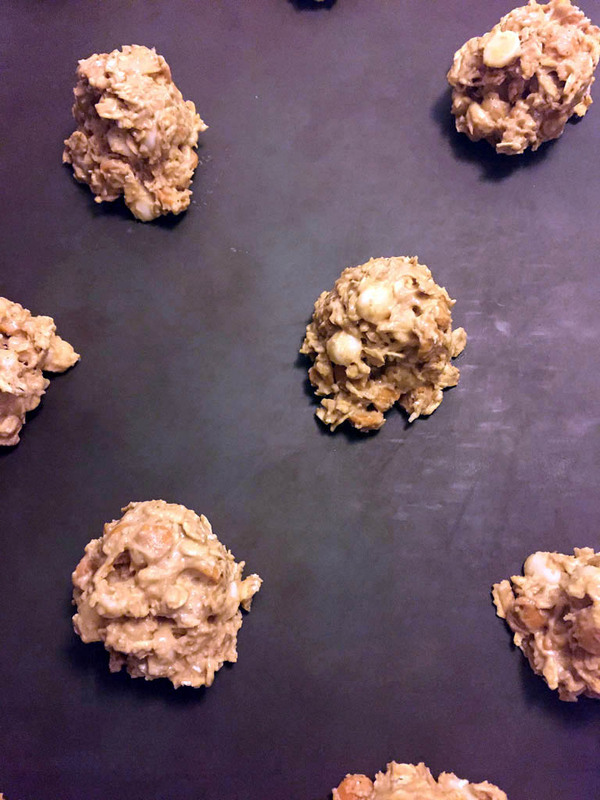 – Remove cookies from oven and let them sit on the cookie sheets for a minute to allow them to set. Remove from cookie sheets and allow cookies to cool completely on wire racks.